As the complexity of today&apos;s cruising environment grows, the autopilot plays an increasingly important role in the day-to-day operation of a vessel. Not too many years ago, the autopilot was a luxury that was seldom seen in the recreational boating community, except aboard a few of the more prestigious motoryachts. With mandatory traffic separation schemes, prohibited and restricted zones, and other invisible boundaries being added to the already lengthy list of marine hazards to be avoided, an extra hand at the helm is becoming more essential than ever before. For the cruiser, reliable selfsteering has always been at the top of the list of essentials. It&apos;s not uncommon to find multiple autopilot installations on board a boat to ensure absolute dependability. The modern marine autopilot often is called on to perform a wide range of tasks, from providing a quick hand at the helm to tracking along the edge of an invisible boundary or correcting for a sizeable crosscurrent while linked to a GPS. For cruising and passagemaking, reliability should be the most soughtafter feature in an autopilot. If the autopilot quits, all the other bells and whistles will be of little comfort to those who will be hand steering for the remainder of the trip. Creating a bulletproof autopilot system is a difficult task, but analyzing the typical problem areas can offer a step in the right direction. Autopilot difficulties usually can be divided into two categories: mechanical/electrical failure and human failure. (The latter may not be as uncommon as you think.) Each has its own set of hurdles to be overcome. Marine autopilots live a rough life. 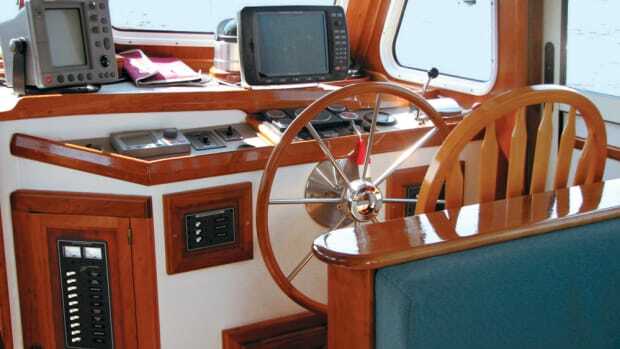 The steering actuator or autopilot drive, frequently connected to the rudder shaft by a short tiller arm, often is heavily loaded, and it labors endlessly. In an exposed steering position, the control head takes the brunt of all kinds of weather. Somewhere below, a remote heading sensor is rolling about in its gimbals while the autopilot processor struggles to sort out the difference between the commanded course change and a heading change induced by the motion of the seaway. If all of this is going to work, it&apos;s got to be done right. 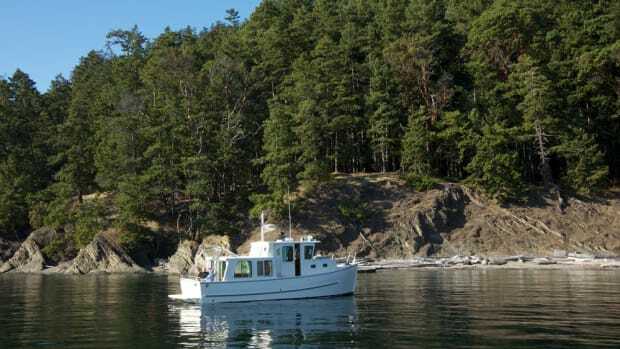 In the quest for absolute reliability in an autopilot, there are areas where the boat owner can contribute significantly to the ultimate solution, and a knowledgeable approach is essential. Selecting the right autopilot for your application is probably the most crucial step in the whole process. Think big! An undersized system or incorrectly sized component can rarely be made to serve your specific needs. 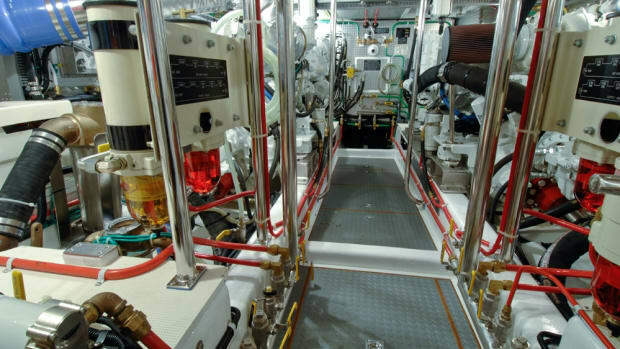 Challenges for any installation include hydraulic steering, rudder balance, widely varying steering loads, and various other design considerations that come with their own unique requirements. Research this carefully, and pay particular attention to the experiences of others who have similar systems and similar steering needs aboard their boats. Autopilot drive options include hydraulic or electric linear actuators, chain drives, and several additional choices, but the most important consideration is your boat&apos;s steering characteristics. How much steering load must the pilot handle in a quartering sea? If rapid compensation is made for a course deviation, is there a tendency to overshoot? Is the boat&apos;s rudder well balanced? Your vessel&apos;s steering characteristics should be carefully cataloged and discussed in detail with the autopilot manufacturer. The autopilot&apos;s heading sensor, usually a fluxgate compass remotely mounted below decks, transmits the vessel&apos;s heading, but all other inputs are missing. With one eye on the horizon and the ability to detect the boat accelerating as the stern lifts to a following sea, the human pilot can quickly assess the amount of helm input required; he or she doesn&apos;t have to wait for a large course deviation to signal the need for a correction. When the helmsperson sees that a swell has passed, the wheel can be centered, and the original course resumed. In time, the human pilot learns the ways of the vessel being steered, and the combination of anticipation and experience produces a fairly straight course, with only minor deviations during corrections. Autopilot design can compensate for a lack of human input with some degree of success. Oscillations inherent in the fluxgate compass sensor can be dampened mechanically, or the autopilot processor can perform this function by analyzing the heading fluctuations and eliminating those determined to be caused by motion. Neither approach can detect the acceleration error associated with large following seas. This shortcoming may allow larger-than-desired heading deviations when running in heavy seas. Adding gyrostabilization to a fluxgate compass gives it the ability to sense acceleration and can noticeably improve performance, but it&apos;s an expensive option. A rudder position sensor gives the autopilot accurate information about the position of the rudder when it is steering. In turn, this allows the autopilot to ascertain the amount of rudder deflection at any moment and accurately return to a neutral position when needed. While some autopilot systems may accomplish rudder position sensing electronically without using an external sensor, you will be better served by a system that includes a rudder position sensor. To allow the electronic pilot to "learn" the ways of a vessel, just as a person at the helm does, a microprocessor can evaluate steering requirements under different conditions. Autopilots that include this design feature can adjust to changing conditions and thus increase steering accuracy by eliminating unnecessary or overly large rudder inputs. Getting the installation right will greatly contribute to the ultimate reliability of any autopilot system. Each phase of the installation has its own requirements that cannot be compromised. The heading sensor is a vital part of the autopilot system, and its location must be chosen with care. The object is to minimize the influence of the vessel&apos;s roll and pitch on the sensor by locating it as closely as possible to the center or pivot point of these motions. This usually means mounting the sensor low in the center of the hull. The installer must avoid mounting it near any large masses of metal or anything magnetic, particularly speakers. Locations near wiring that carries a significant amount of current also must be avoided because the magnetic field generated by the current flow can adversely affect the heading sensor inputs to the autopilot. A questionable location will result in poor calibration of the heading sensor at best, and less predictable results are likely. The electrical side of the autopilot installation deserves equal attention. As a rule, there are two power supply circuits, complete with separate circuit breakers or fuses. One circuit supplies the autopilot&apos;s electronics, which usually consist of a control/display unit and a remotely mounted processor. The other circuit usually carries the heavier load and powers the autopilot drive. While there are many different approaches to autopilot drive design, most require electrical power. Manufacturers frequently list the average current used by the autopilot, but it&apos;s not uncommon for the drive circuit to briefly require considerably more current when heavy steering loads are encountered. While it may be possible to install a large circuit breaker at the vessel&apos;s electrical panel to power the autopilot drive, the wiring that supplies power to the panel itself may not be able to support this and other loads at the same time. If you are powering DC refrigeration, a SSB, and a large autopilot through the main distribution panel, something may have to give when the autopilot demands its share. Both the positive and negative circuits supplying power to the panel may require an upgrade to handle the extra load. Frequently, the installation requirements demand that the rudder position sensor and drive unit be installed where there is no existing structure to support them. Mounting the position sensor may require a little ingenuity, but the drive installation requires some serious engineering, and a custom mount may have to be fabricated. A pad for the mount might be bonded to the hull structure, or the mount may be bolted directly to an existing bulkhead. Regardless of the method chosen, the heavy rudder loads transmitted to the drive mounting and its structure must be taken into account. Autopilot drive loading has been known to separate a lightly attached bulkhead from the hull. Installing the autopilot control head in a location where it is exposed to frequent assault by wind-driven rain and spray is unwise. "Waterproof " is a relative term, and experience seems to indicate that given time and opportunity, water can find its way into even the best electronic enclosures. If it&apos;s difficult to find a location that provides ready access to the autopilot control without exposing it to the elements, consider installing a handheld remote control at an outside location that will provide some shelter and locating the main control at an inside steering station. If the autopilot is to be given such an important role aboard, then human error should be considered a form of failure in its own right, and every effort should be made to avoid it. In some aviation venues, familiarity with an autopilot is considered so vital that a pilot&apos;s certification is valid only when flying aircraft equipped with the specified autopilot. While we haven&apos;t quite reached that level on cruising vessels, it is very important to know proper autopilot operating techniques in order to avoid failure. Modern autopilots incorporate advanced features that allow the autopilot to integrate with computers, chart plotters, networks, and navigational receivers. Today&apos;s autopilots can follow a track to a waypoint or even follow a route through several intermediate waypoints to your destination using heading and crosstrack information generated by a GPS. If a computer with charting software or a chart plotter is linked with a GPS, either can be used to control the autopilot directly. Waypoints created on a computer or chart plotter can be uploaded to the GPS, and waypoints already stored in the GPS often can be downloaded and displayed on a digital chart. When integrated with an onboard network, an autopilot can report its status to other displays that are part of the network, allowing monitoring from more than one location. Advanced capabilities such as these are excellent tools for those who understand their uses and limitations, but they also create the potential for a number of humaninduced failures that can compromise the safe operation of a vessel. A couple hundred years ago, the "autopilot" of choice was a group of dedicated helmsmen who manned the helm around the clock, steering to a course set by the master. Problems with maintaining the course could be reported verbally by those at the wheel, while lookouts kept watch for dangers ahead. All involved had the advantage of being human and being capable of experiencing fear when hazardous conditions arose. This is an important distinction and, while obvious, it is worth emphasizing. The autopilot system knows no fear. No autopilot has ever been hauled into court and fined for trespassing in a prohibited area, although human pilots certainly have. An autopilot will simply ignore another vessel that lies directly in your boat&apos;s path, and an autopilot thinks nothing of following a course that involves a shortcut across dry land or intersects an unlit buoy on a dark night. Fear is just one element of having a healthy respect for the sea. However you think of fear, it is a useful tool that exists only in the minds of the human crew members, not the mechanical ones. The one point that has remained unchanged through all the years and through all the advances in technology is the fact that responsibility for a vessel&apos;s course lies solely with the operator, regardless of how steering is accomplished. 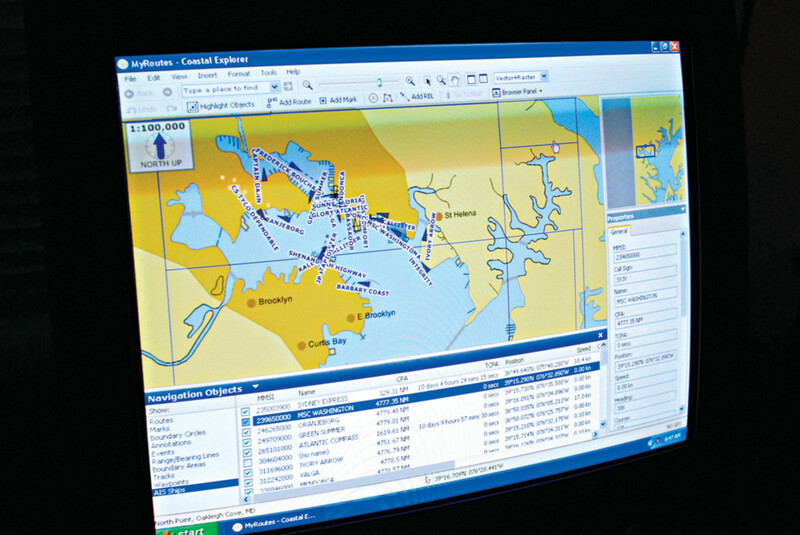 While still using traditional methods of navigation, many cruisers also depend on an autopilot or an autopilot coupled to a GPS or computer to control the vessel&apos;s track at times. I make considerable use of both techniques under way, particularly while tracking through narrow gaps in restricted-movement areas when a current is present. Some will argue against letting the autopilot steer when it&apos;s coupled to the GPS, but if it&apos;s properly done, there are many advantages. Hand steering takes a fair bit of the average person&apos;s attention, making it difficult to quickly detect hazards in a rapidly changing situation. 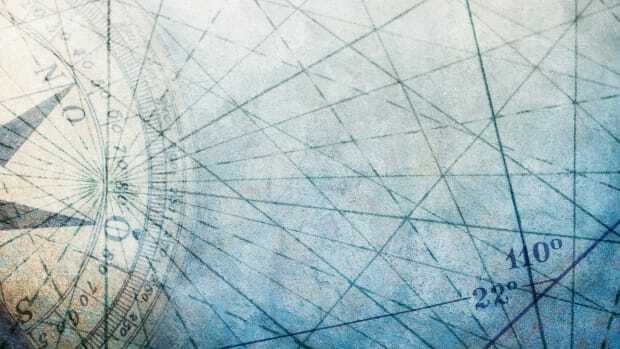 With the autopilot manning the helm, more of the watch-keeper&apos;s faculties are available for other tasks, such as tracking the course of another vessel, monitoring depth, or examining a chart. However, the human pilot still must pay attention to manual course corrections that may be needed to maintain track, especially with a current setting across the desired track. There are several valid reasons for allowing the GPS to control the autopilot along a previously input route. Beyond convenience, the real advantage lies in being able to achieve automatic correction for current and leeway while keeping one&apos;s hands and mind free for other tasks. If you&apos;ve ever attempted to do this manually by sighting ahead and behind using a set of landmarks, you know how much concentration is required, especially at night. The task becomes quite a bit easier when the helmsperson can adjust the course as needed to maintain a minimum amount of crosstrack error on a GPS display, but this still requires a fair amount of effort. This is a job that autopilots are really good at; it isn&apos;t really a special autopilot function but occurs as the result of the autopilot adjusting the heading as necessary to maintain a zero cross-track error using GPS data as a reference. Each autopilot is different, and it is essential that everyone who stands watch be familiar with its various modes of operation. For example, on some autopilots, if "standby" is selected when the autopilot is engaged and tracking to a waypoint using GPS input, the tracking mode remains active. The next time the autopilot is engaged, a turn to intercept the track to the waypoint will be initiated even if the waypoint has already been passed and now lies behind the vessel. If a turn away from the GPS track is commanded, most autopilots will not resume the track unless specifically commanded by the user to do so. Even then, methods of re-intercepting the original track vary considerably. Problems can arise when the autopilot is commanded to track to a GPS waypoint but the human pilot does not understand the autopilot&apos;s methods in this mode. Large turns may be initiated if the vessel&apos;s course differs significantly from the actual course to the waypoint as shown on the GPS. A subtler trap awaits the unwary user when the autopilot is engaged in the GPS tracking mode after a significant course correction has been made to compensate for current. Most autopilots engage the tracking mode from a cold start, ignoring the existing heading and turning directly to the course for the waypoint as determined by GPS. This results in a significant deviation from the desired track while the autopilot waits for the inevitable cross-track error to develop and then initiates a series of heading corrections to return to and maintain the original track. If there&apos;s no room downcurrent, this could lead to catastrophe. If the autopilot will be used to track through a narrow area or channel, it should be engaged and allowed to establish the heading needed to maintain the track long before the restricted maneuvering area is reached. Be aware that changes in current may still induce some cross-track error as the autopilot adjusts heading to compensate. Exactly how much deviation might be experienced when this happens is a function of the autopilot&apos;s design parameters, the vessel&apos;s response time to rudder inputs, and the magnitude of the change being compensated for. This is best learned by experience in less restrictive waters, and, as is always the case, vigilance is a must. This same phenomenon also can be induced by a calibration error in the autopilot heading sensor or compass even when no offsetting current is present. Consider a case in which heading information supplied to the autopilot is off by 10 degrees. When the tracking mode is engaged, the autopilot turns to the heading commanded by the GPS to steer directly to the waypoint. The new course is based on the input from the heading sensor with the 10-degree error and results in the boat being steered off the desired track until a cross-track error develops and the autopilot "learns" what heading will maintain the track. More options exist if an onboard computer or chart plotter is part of the navigation system. The waypoints can be created and linked together to build a route on a digital chart and then uploaded directly to the GPS. At first glance it may seem that you are asking for trouble by doing this, but, in reality, human shortcomings are far more likely to be the source of errors when creating waypoints. In the early days of navigation receivers, waypoints were manually created using paper charts and then were transferred to the receiver. Each time lengthy latitude and longitude numbers were written, copied, or entered, there was another chance for human error to creep in. The airline industry depends heavily on waypoints that are entered into navigation computers. A few years ago, the cockpit drill required one person to enter the waypoints and all other crew members to conduct a detailed, independent check of the route that included the headings and distances between each waypoint (on a long international flight, there could be a lot of them). Unfortunately, on rare occasions, errors still went undetected, and some were quite subtle. Incorrectly assigning the east or west notation of longitude readings near 0 or 180 degrees is one example of an easily overlooked error. Many airlines have resolved this by eliminating human handling of large series of numbers as much as possible. Now, waypoints often are downloaded directly into an aircraft&apos;s onboard computers from a central dispatch database, but the methods and requirements for checking them after they are received remain much the same. Creating a route with a chart plotter or charting software by selecting waypoints on a digital chart eliminates the need to manually measure and record the latitude and longitude readings taken from a paper chart and removes one chance for error. Uploading the newly created waypoints directly to the GPS eliminates another source of mistakes and leaves the data virtually untouched by human hands. This doesn&apos;t mean there might not be problems with the waypoint data, but the possibility of error can be reduced even further by carefully comparing the position of the fix on the chart display with the values stored in the GPS. This should include a check for reasonableness by comparing the GPS headings and distances between each point with those on the chart. With a GPS connected, a chart plotter or a computer running charting software can control the autopilot directly. As always, these benefits are accompanied by an increased potential for difficulties as we move up the ladder of technological advancement. But such an arrangement can offer unique capabilities that may be very useful. Features like a computer-generated search pattern that can be carried out by the autopilot have potential in man-overboard situations. Some software enables you to create a MOB waypoint with the touch of a button and then provide steering information to the autopilot that will automatically bring the vessel back to the location where the person fell overboard. These systems usually allow you to deviate to a new waypoint while skipping the intermediate step of manually entering the new waypoint or uploading it to the GPS before using it. On command, the computer or chart plotter software can generate a new course for the autopilot whenever a new waypoint has been created on the digital chart and designated as the one to navigate to. 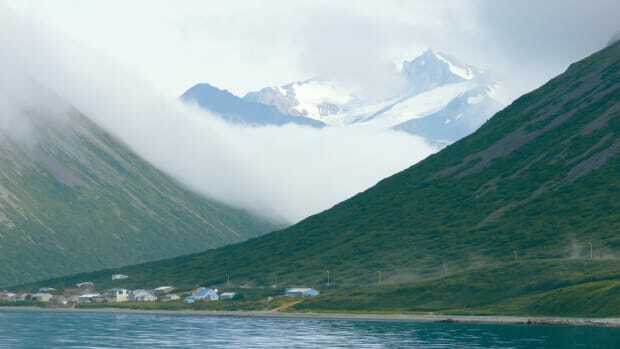 This waypoint usually is referred to as the active waypoint. With this approach, waypoints often are stored only in the chart plotter or computer. This requires continuous operation of the computer or chart plotter throughout the passage and creates a potential problem if it fails en route and all waypoints are lost. This can be avoided by configuring the computer or chart plotter to permit the uploading of waypoints to an independent GPS to provide an alternate method of following the route. A selector switch can be installed to determine whether the GPS or the chart plotter/computer will supply steering information to the autopilot. This adds even more versatility, but someone needs to keep track of the switch position, or you may find yourself in some unexpected locales. In other realms where absolute reliability is required, redundancy has been the solution. In the aviation world, redundancy usually means having two or more identical systems operating simultaneously on an aircraft. A cruising vessel, on the other hand, has the luxury of carrying spares to satisfy the need for duplication of essential components. Carrying a complete spare autopilot, either installed or ready to be installed, may seem a bit over the top, but it&apos;s difficult to guarantee absolute reliability otherwise. The three most common types of autopilot failures revolve around water intrusion, poor electrical connections, and fatigue failure somewhere in the autopilot drive and its connection to the rudder shaft. Not too far down the list is lightning-related damage to electronic components of the autopilot. A good installation can go a long way toward eliminating connection failures and water intrusion, but the causes of most other failures are much harder to eliminate entirely. In the process of easing the burden of many of the tasks associated with navigation, automation creates a few new ones. But good operating practices will help boat operators avoid difficulties. Always carefully check uploaded waypoints or those created on a digital chart before using them, and, if possible, involve at least two sets of eyes when making these checks. Before starting out, print or write down the route or waypoint data, and be sure to include lat/lon, magnetic headings, and distances for each leg. As each new waypoint is approached, be prepared to check the new course and the distance to the next point. A written list of waypoints and headings also ensures that you will at least have a good heading to steer by if all the lights go out some night and you are left standing in the dark, pondering the pitfalls of overreliance on electronic navigation. Be sure that everyone standing watch understands how your autopilot works and its various modes of operation. In the same vein, make sure that all concerned understand what the active waypoint on a chart plotter or computer means when the autopilot is being commanded by one of these devices. Crew members also should know how to make a waypoint active and how to identify it on the electronic chart display. Many autopilots have inadequate alarms to alert the crew to an off-course condition or a loss of GPS input. Frequently there is an audible alarm, but most are not loud enough to attract attention from any distance in the presence of other noise. Having a loud alarm or the ability to add your own alarm is a plus, but alarms can never replace constant vigilance and careful monitoring of your vessel&apos;s course and position. An autopilot may fail mysteriously with little or no warning to those on watch. If anything disrupts the power supply to the autopilot drive unit, the autopilot control may remain powered and may appear to be functioning normally. Eventually, when the course or cross-track error exceeds a preset system value, a warning may be generated. But, in the interim, the helm essentially will be locked in its last position if the autopilot drive is still engaged, or, if not, it will be changing randomly. When all is said and done, there is no substitute for vigilance any time a human pilot turns the helm over to an autopilot.